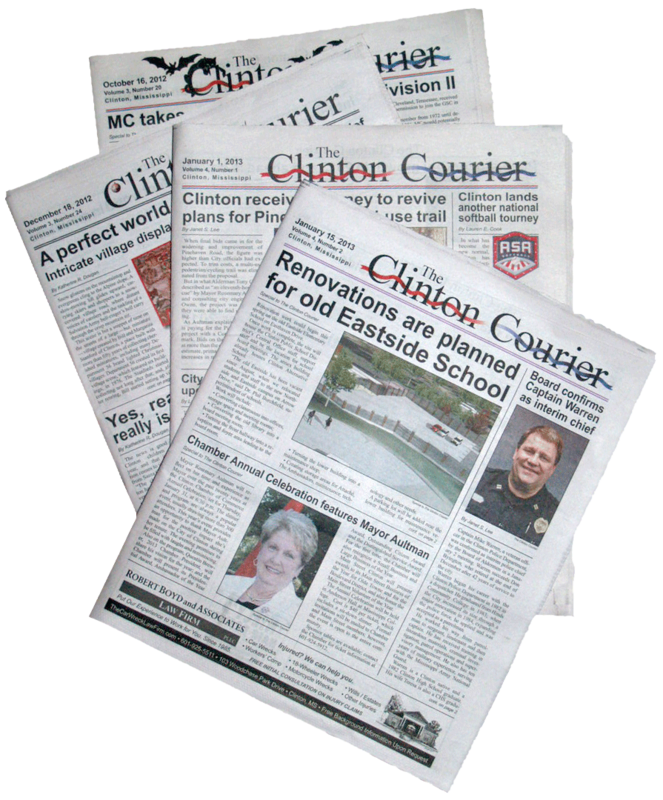 In the fall of 2010, I was picked to design and build The Clinton Courier, the new bi-monthly (twice a month) community newspaper for the town of Clinton, Mississippi. Working closely with the editor and a team of ad salespeople, I build each issue in a two-week period. Clicking on the papers below will take you to their website where you can view the current issue in a new window.